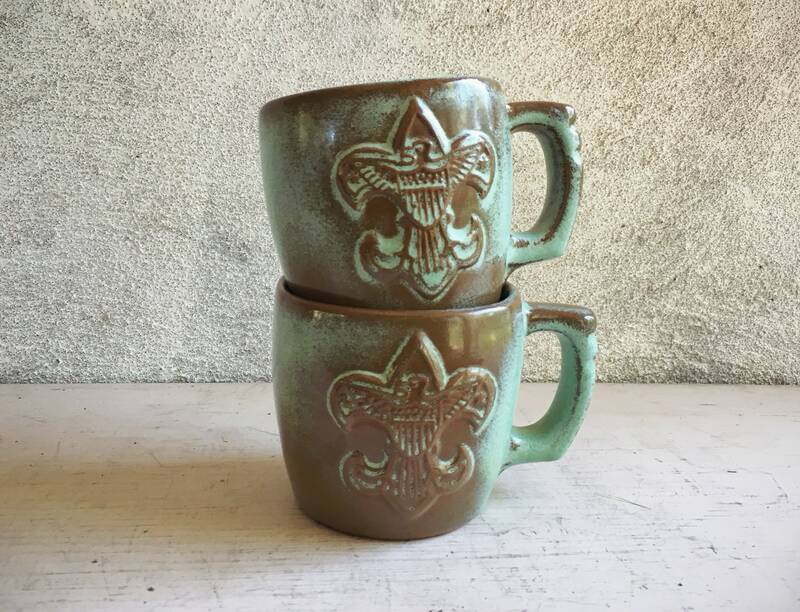 A quite uncommon Frankoma Pottery coffee mug--and here we have a set of two!--from the 1960s manufactured for Boy Scouts of America with their emblem of fleur de lis and eagle. 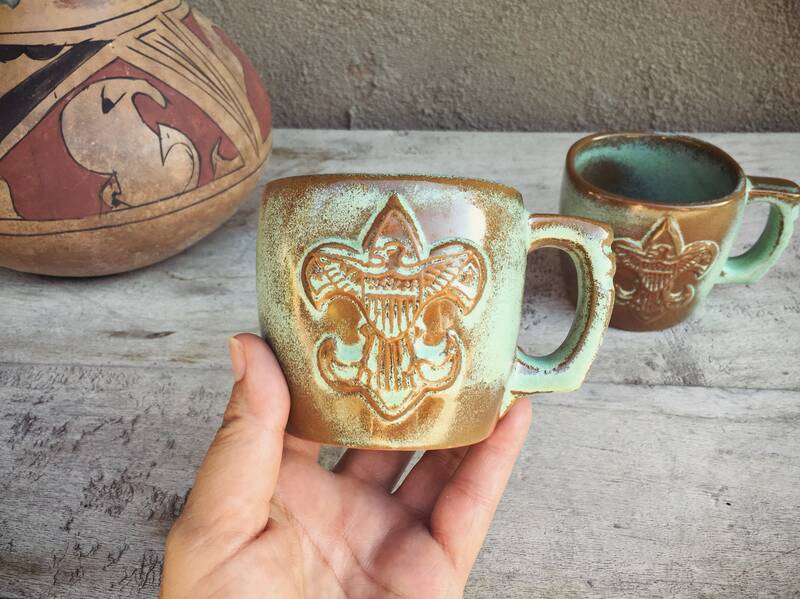 Frankoma Pottery is an iconic Oklahoma company, founded by John Frank--the name comes from his last name combined with the last three letters of his state. 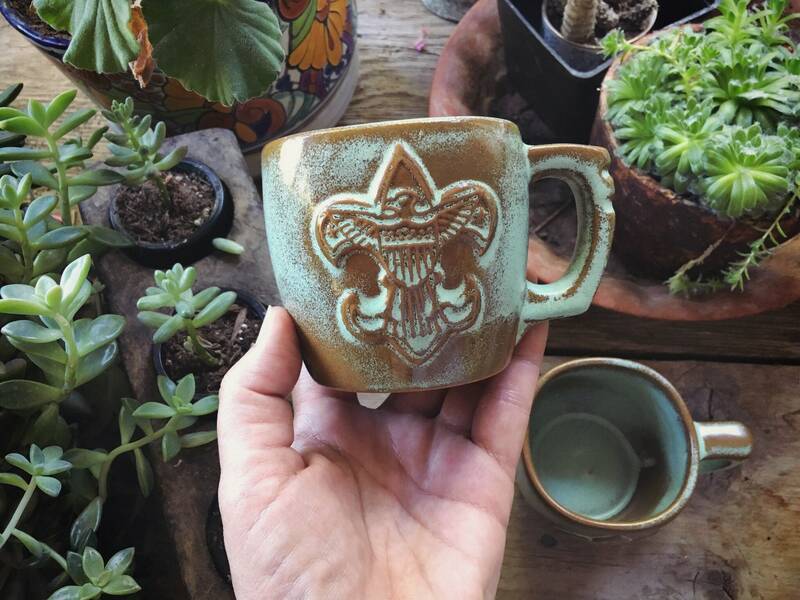 After many changes of ownership, the company today focuses on art pottery, but in the day it also made many styles and colors of cookware, all with locally dug clay. 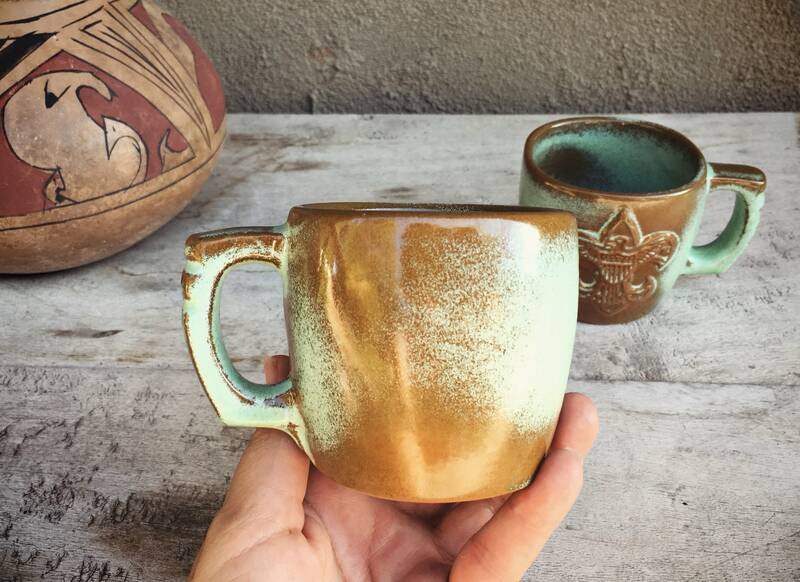 This Prairie Green color is lovely--it reminds me of sage that grows throughout the Southwest-- the way it's applied so the red clay comes through, topped with a gorgeous glaze that seems to shine from within. 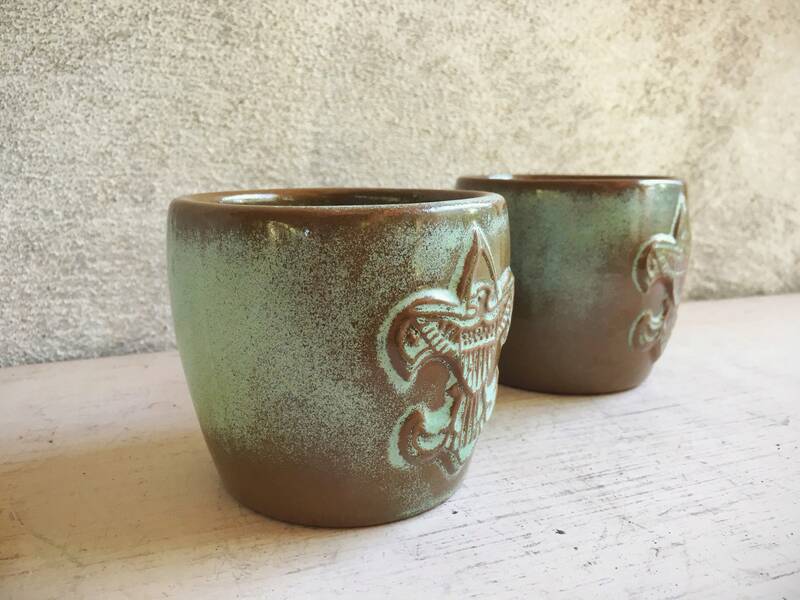 Each cup measures 3-1/4" across and 3" tall. 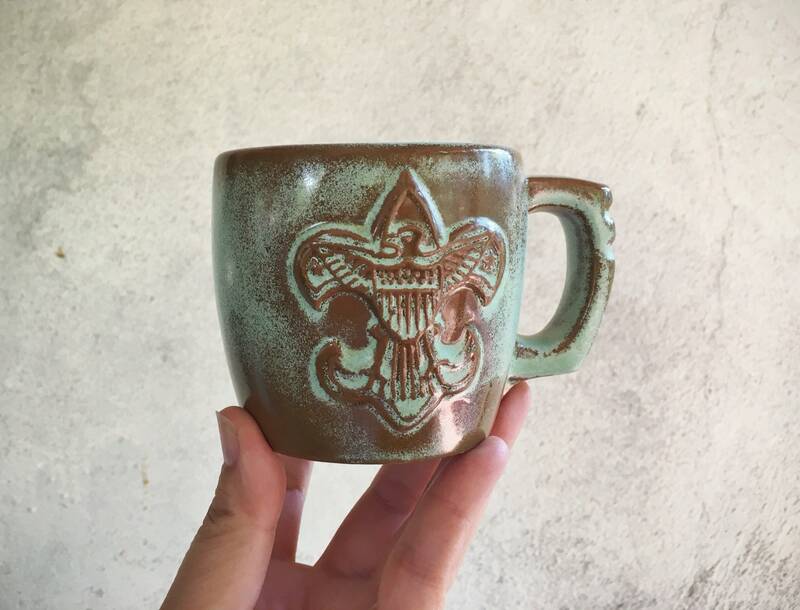 Is 7 oz. 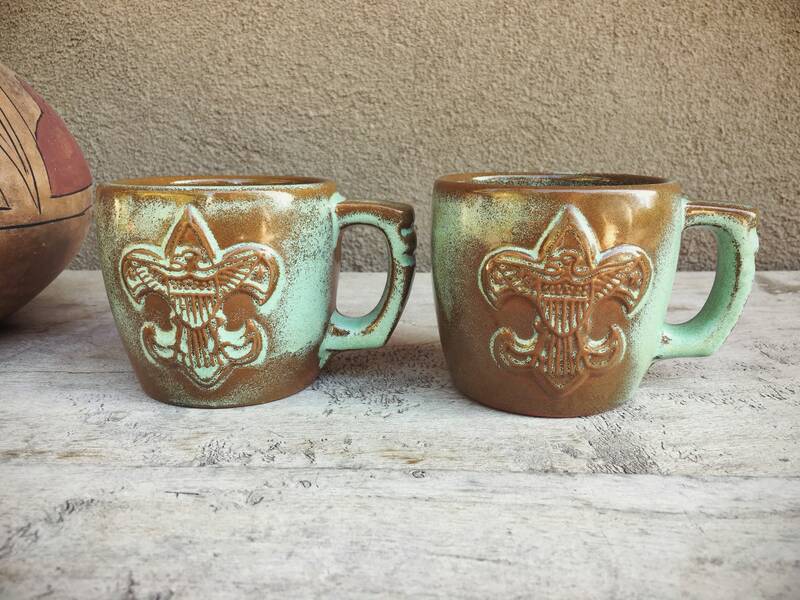 per the Frankoma catalog. Carries the mold number--5C--on the bottom, which was first produced in 1948. Both in good condition, with no chips or cracks. 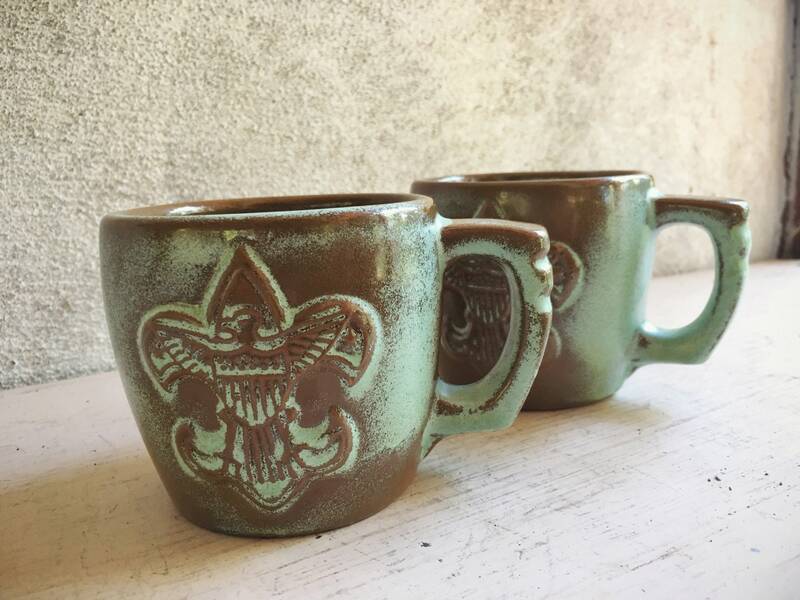 Fabulous memento for the former or existing Boy Scout(s) in your life. Awesome experience thanks so much!